With tourism on the increase, the London region has seen a boom in hotel development as new projects add tower cranes to the city’s skyline. New luxury brands want to be part of a world leading capital. Recently, for example, Hongkong and Shanghai Hotels announced plans for a Peninsula brand luxury hotel at Hyde Park Corner. 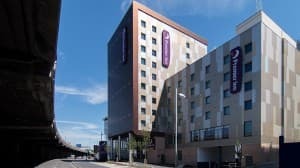 Meanwhile budget brands such as Premier Inn and Motel One are adding hotels, making the city accessible for thousands more visitors. Greenwood has been playing it part, providing key building components for developments including the new Novotel at Blackfriars, and Hampton by Hilton in Waterloo. To the east, next to the Excel exhibition centre, the company worked on the Aloft hotel project, providing architectural louvres to clad the building, and key security elements internally. The recovery has seen the regions of the UK enjoy an upturn in tourism, too. Greenwood has been working on a number of hotel projects including Hilton brand hotels at Terrace Mount in Bournemouth, and Premier Inns in Gatwick and Maidenhead.